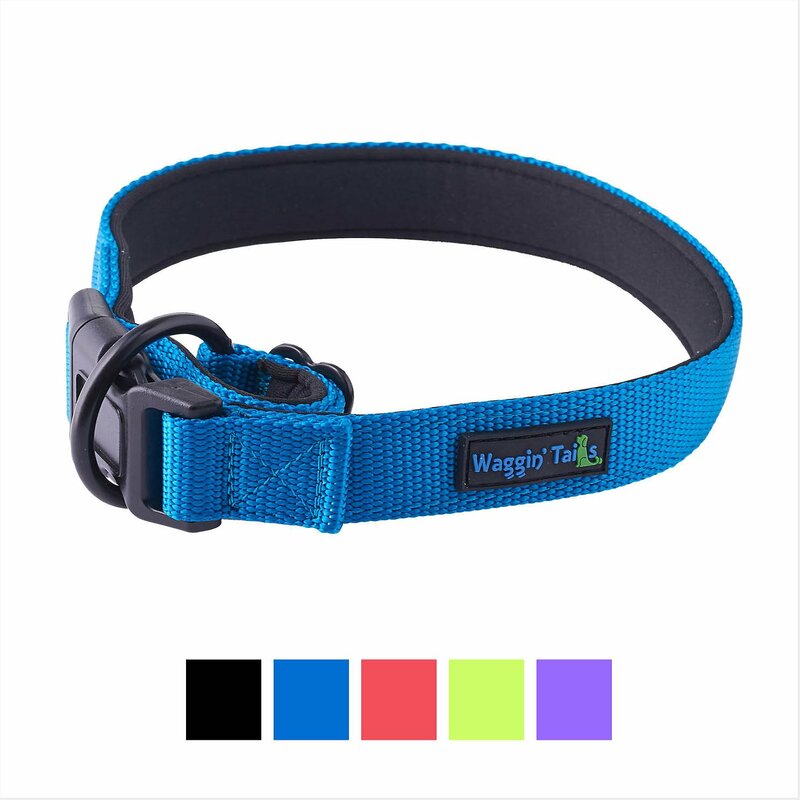 Show your pooch some love with Waggin' Tails’ Classic Comfort Padded Dog Collar! 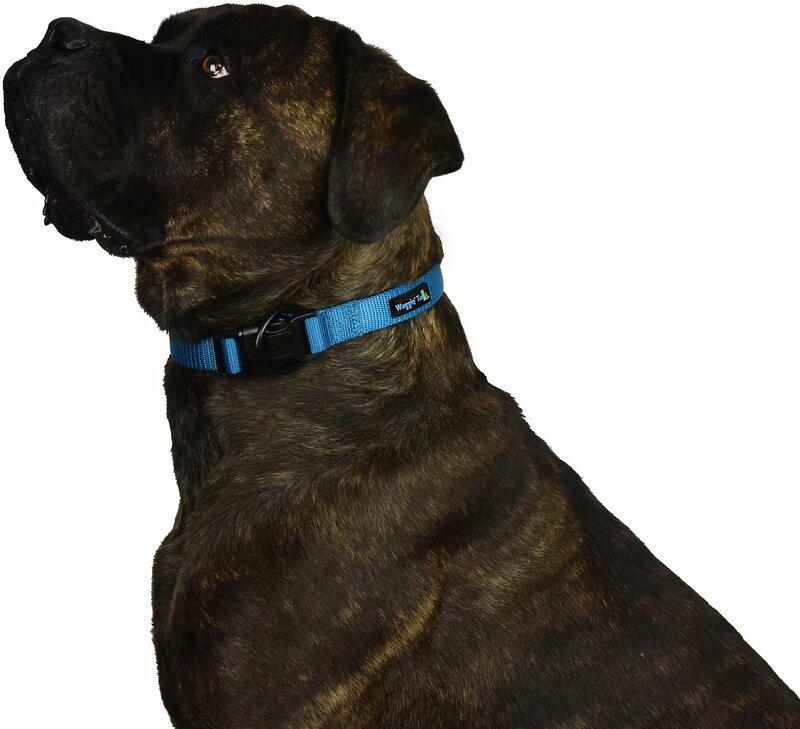 This comfy collar is super soft—perfect for dogs with sensitive necks or those who are new to wearing collars, such as newly adopted pups or adolescent doggies. 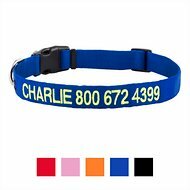 Use it to keep your little one’s tags in order or choose your favorite color to personalize your pup and add some flair to their everyday wear. Soft, breathable material keeps your little one cool and comfortable as you hit the dog park or take on any adventures that lay before you. 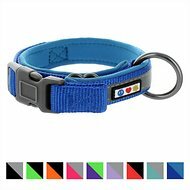 With so many colorful options to choose from, you can match their collar with their leash! Made with premium quality nylon and heavy duty stitching for added strength and durability. Features an easy snap buckle with a rust-proof black ring for all of your dog’s tags. 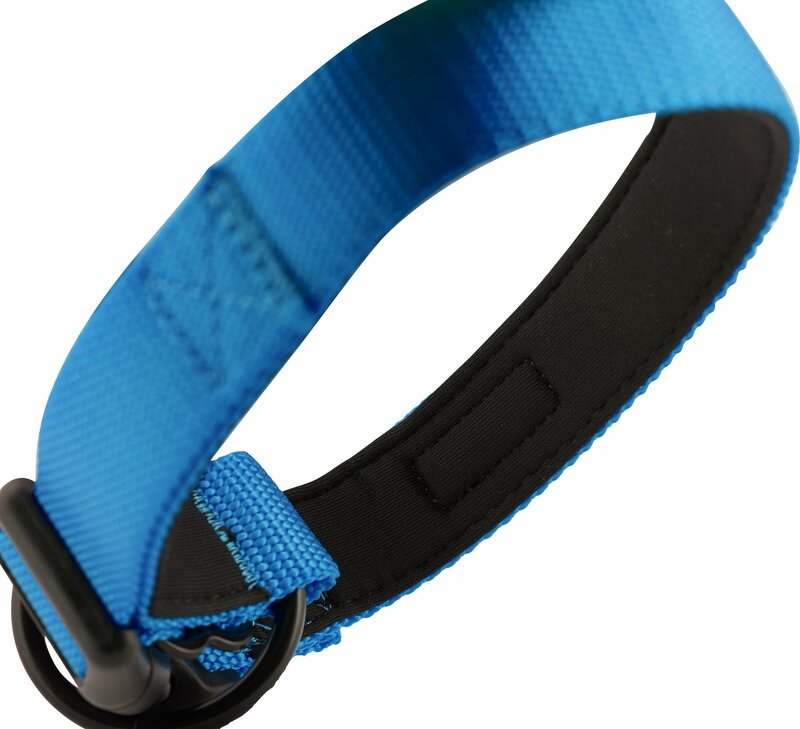 Uniquely designed to allow only soft neoprene to come into contact with your dog’s neck. Easily adjusts to different lengths to accommodate smaller and larger neck sizes. Comfortable neoprene padding prevents irritations and is perfect for sensitive dogs or puppies. 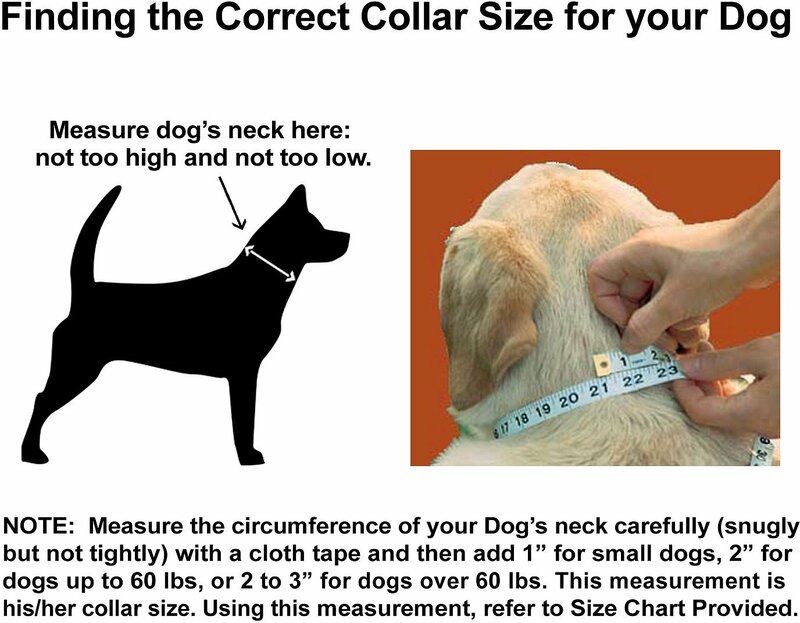 Due to the smart design of our collars, which provide a continuous padded lining all around your dog’s neck, the range of adjustment for each collar will be about 3 ½ inches, which may be somewhat less of a range than regular unpadded collars. For this reason, please make sure the adhere carefully to this size chart. I bought this collar for my 70lb husky/lab mix. He is a strong puller, new to using a least (something we're working on) so needed something sturdy. When I first got the collar it just barely fit around his neck. Within a week I noticed it was way looser and I had to tighten it up. This kept happening to the point where now it's at it's smallest and just slips off of him if he pulls in the other direction. Definitely wouldn't buy again! 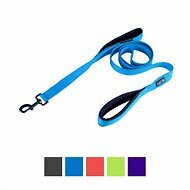 Maybe for dogs who are perfectly leash trained, but not for strong pullers! I ordered a small to fit my miniature schnauzer, and while the length is correct, the hook and clip ring are too large. This makes it unusable for me. It's too heavy and bulky for a small 20lb dog. This was a replacement collar for one of my BC's. I wanted the same type as she had out grown, but couldn't find it. This is of excellent quality, however it's a bit chunky in the hardware department. Of you could scale the size down a bit I would give it a 5 star rating! Well worth the money. Sturdier than it looks. Very pleased. Haven't tried it yet but love and the look and feel of it. That is why I only gave it a four star rating. awesome but make sure to measure! 10 month golden who granted is stockier needs an xlarge not a large like I thought. Take the time to measure and save yourself the mess!! Sturdy, comfortable for my 105 lb. Cane Corso. Ordered the XL size, just fits his neck. I like that it matches his very-comfortable-to-use Waggin' Tails leash. I got my small Pomeranian/Chihuahua/Hound mix rescue at about 8-9 months old. He turned out to be a chewer, mostly because he still had some of his milk teeth. He has already chewed his way out of 5 collars, 4 leashes and 2 harnesses, so I have gone from dainty to this, a thick sturdy collar. It has survived so far and the color matches my hair color. Love it! I also bought the leash and collar to match(purple). Love them both but the XXLarge was too small for my 6 month old Bullmastiff puppy. Now I have to try and match the leash with another brand. Will probably have to go with black : (. Buyer beware this is not an XXLarge that will fit a large dog. Not even a Giant Breed puppy. Thank goodness Chewy has excellent customer service and I have not had a problem with any returns. This is exactly what I wanted. Looks great and is strong enough for my large dog. I ordered the double handed leash to match and it is by far the best leash I've owned!